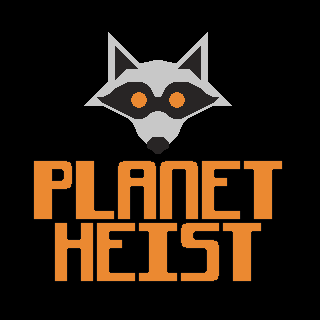 Planet Heist is a turn based puzzle game, sort of. 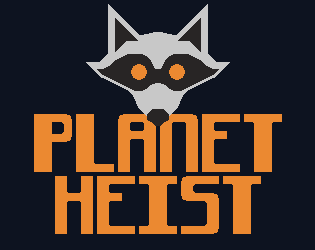 You play as Racc, a master thief, navigate to the bottom of the tower while avoiding detection, grab the planet and go back the way you came. Without being caught! The first level is quite simple, but the difficulty ramps up quite quickly. You have 15 seconds to take your turn, if you believe you don't need that long, hit ENTER to end your turn early. You can decide which direction to go back using WASD, you can move in every direction 1 space except down you can move twice (hit S twice). You can always change direction before your turn is up. You only get caught if you occupy the same tile as a detection zone (green light), as everything moves at once, you can move through some areas at certain times. There are checkpoints after every stage, you can reset your checkpoint by pressing DELETE and you can quick restart the game by pressing END, you may accidentally delete your checkpoint if you press the wrong key, might change that.